If you’re coming to Tahoe City, you better plan on eating out. Tahoe City restaurants offer a diverse array of delicious fare varying from West Coast-style gourmet to authentic ethnic cuisine. Restaurants dot Lake Tahoe’s West Shore, so you’re never more than a few miles away from tasty treats: energizing breakfasts, filling lunches, wholesome dinners and of course indulgent desserts. Mixed in with Tahoe City restaurants’ main dishes are the daily specials. Tahoe City restaurant specials can range from deals on the lobster dip and bruschetta to $5 cocktails between 6 and 7 p.m. to chefs’ original creations like freshly caught fish with salsa sourced from all local ingredients. If you want to save a buck or two when you eat out, or if you want a dining experience that’s not only yummy but also adventurous, the daily specials at Tahoe City restaurants are perfect for you. Tahoe City restaurant specials let you branch out from the familiar options on the menu by trying the product of your chef’s creativity – it’s a great way to sample unexpected pairings of flavors that turn your dining experience into something extraordinary. And just think: Any money you save with daily specials helps cushion your budget so that you can enjoy even more restaurants in the future, or just come back to the same one if you were that taken by their exquisite gourmet. Saving money while chowing down delicious food? That sounds like a special indeed. This page is updated regularly, so make sure you check back often to find the mouthwatering specials happening around you. 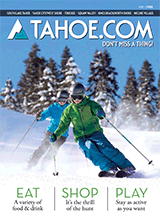 You also may want to peruse our listing of Tahoe City Restaurants to find ones that tempt you and then check back here to discover what specials they’re offering.